Last updated 3/19/2010 by David Giblin. Publication: Bull. Natl. Mus. Canada. 135: 174. 1955. Notes: Note that subsp. maritima is native to Greenland, but has been found established on the Oregon coast (Yaquina Head), and could possibly be found in Washington. Subspecies sibirica has been reported from Washington in error; it is found no closer than Alaska. 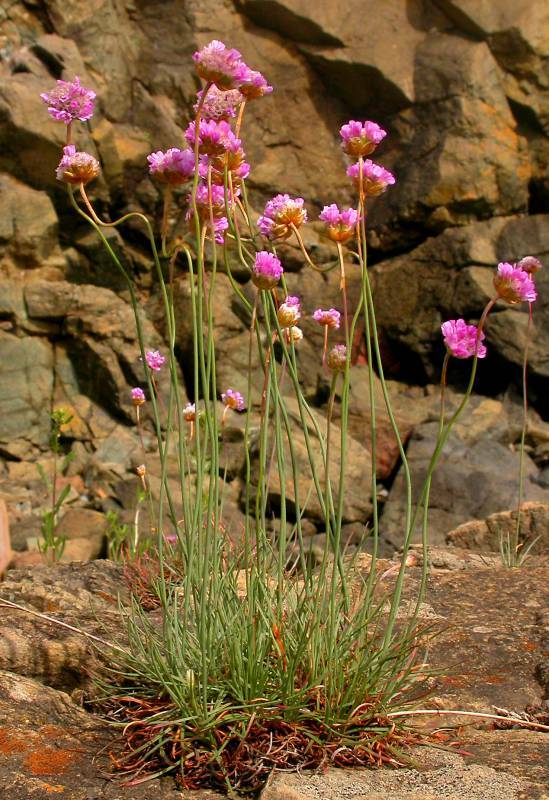 FNA5: "In northern Washington and on Vancouver Island, populations with hairy leaves have been called Armeria maritima var. purpurea (Koch) G. H. M. Lawrence, a dimorphic-flowered taxon from central Europe. The American monomorphic-flowered specimens thought to belong to var. purpurea are not distinct from subsp. californica, except for their hairy leaves. We include hairy-leaved specimens in subsp. californica." Armeria andina Poepp. ex Boiss. var. californica Boiss.